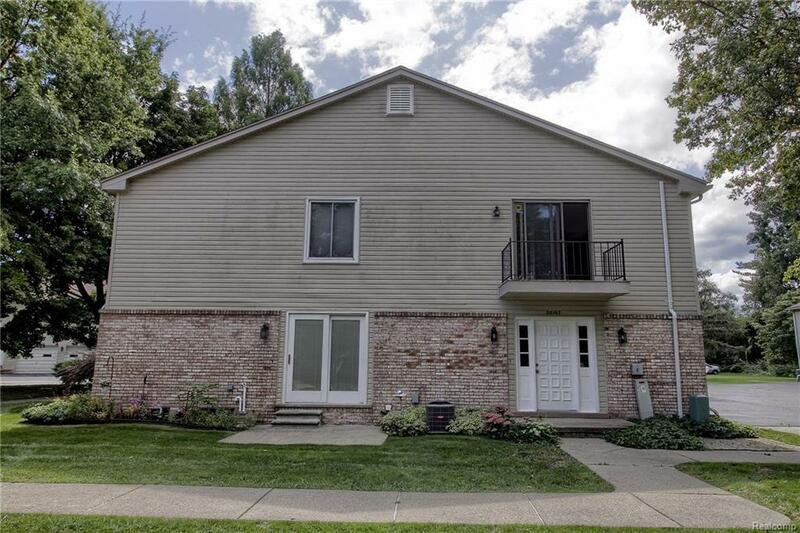 CHARMING 2 BED, 1 BATH UPPER UNIT IN A FANTASTIC LOCATION WITH L'ANSE CREUSE SCHOOLS. EASY ACCESS TO I-94, JUST A WALK AWAY FROM METRO BEACH, & CLOSE TO THE LAKE! END UNIT WITH LOTS OF STORAGE IN FOYER AREA. LARGE CUT OUT FROM KITCHEN TO LIVING ROOM WITH BREAKFAST BAR AREA. DOOR WALL TO BALCONY. LARGE MASTER BEDROOM. ADDITIONAL SPACIOUS SECOND BEDROOM. ATTACHED 1 CAR GARAGE. ASSOCIATION FEE INCLUDES WATER, GARBAGE.